Research & development in the dark: what does it take to make one medicine? And what could it take? Earlier this year a series of advertisements appeared in London's Westminster tube stations asking viewers to consider a seemingly simple question, ‘what does it take to make one medicine?’ But as it turns out, this question is not so simple to answer. 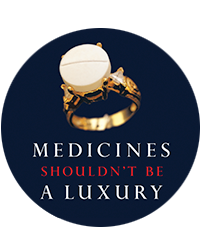 In this commentary we highlight some key considerations and questions on what it takes to make one medicine, and what it could take to develop medicines that meet people's health needs and are accessible and affordable for all who need them.